Takes on a deep roasted walnut or roasted sweet corn character along with more typical chocolate covered cherry and black spice aromas. It's delicious and soft. Aromas of heady white flowers - Orange flower water, jasmine tea, and freshly ground white pepper are in abundance. Simultaneously fresh and pungent finishing clean and bright. Bursting with aromas of hawthorn berries, ripe cherry and wild flowers. A small portion of Sangiovese and Cabernet Franc offers a silky and sleek mouthfeel, bright acidity and red fruit flavors. A pleasing and supple finish. Remarkable with its simultaneous attack of flavor and structure as soon as it hits your palate. It is both intensely fresh and immensly satisfying in terms of depth. Exudes fresh blackberry, candied fruits, and sweet high-toned herbs in the nose. An aromatic expression of the estate. The oak supports the flavors and provides a nice lengthy backbone through the wine. 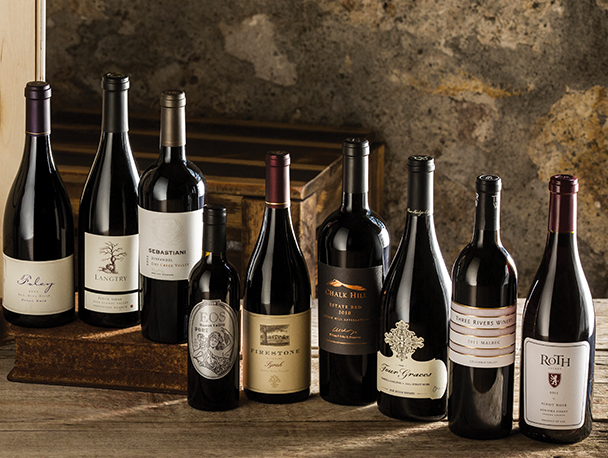 Flavor and structural attributes that highlight the dark, meaty, rich, black fruit aspects of the variety. If you like your Cabernet big, flavorful, and chewy, this is the one for you.